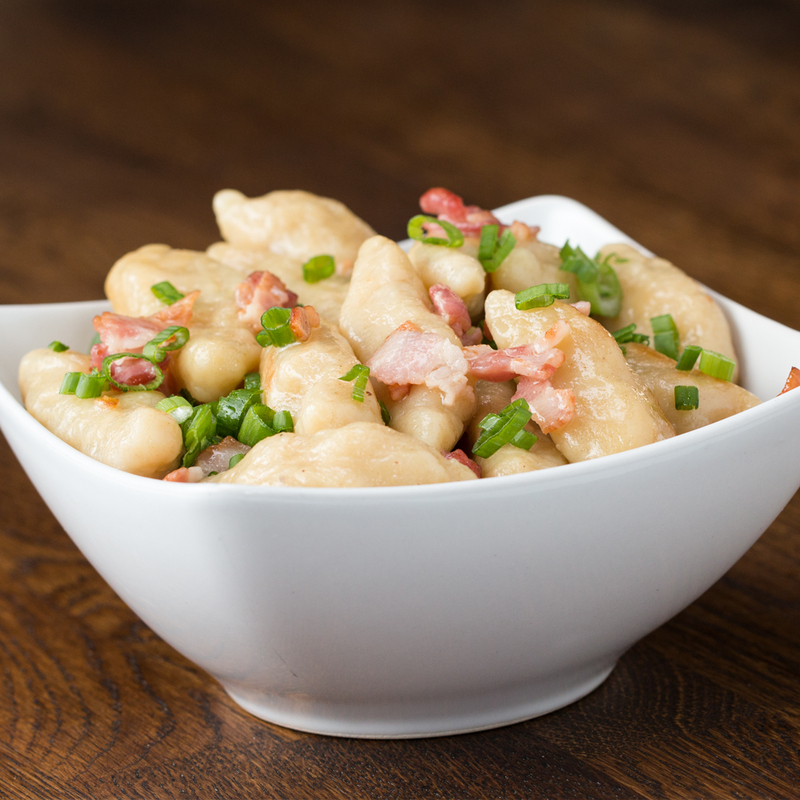 Gnocchi are something you probably order all the time at restaurants but never think about making from scratch. Well, now’s the time to start. 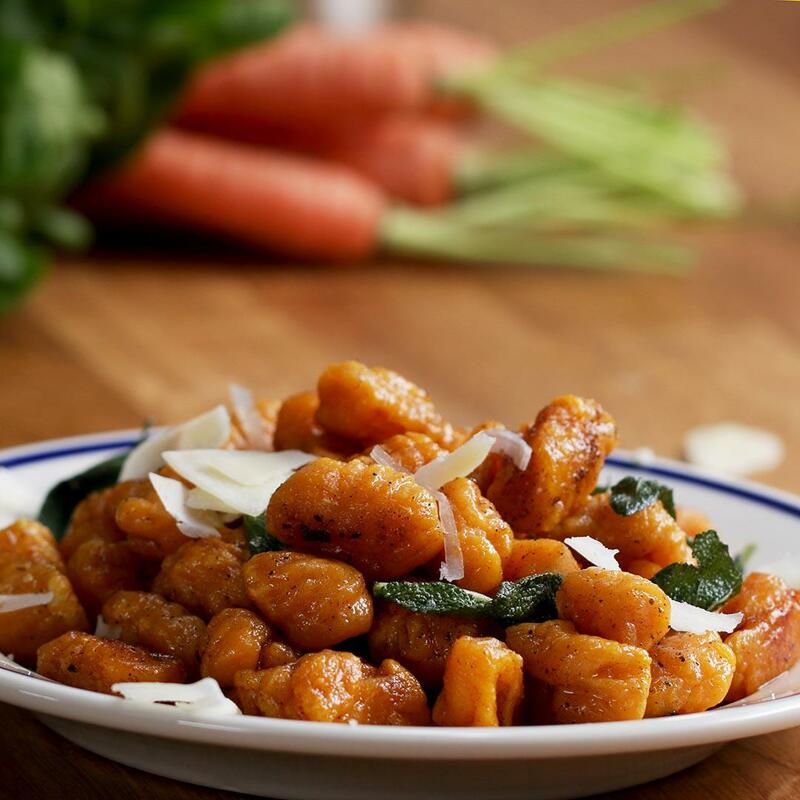 These lightened-up homemade gnocchi call for sweet potato in place of regular potato. 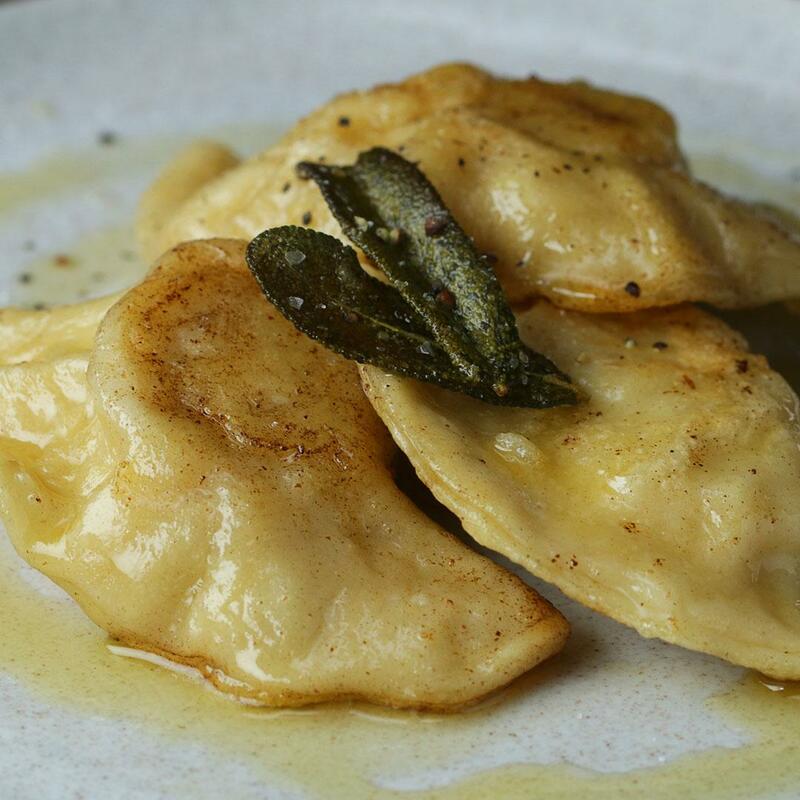 The sweet potato is mashed with flour, egg, and Parmesan and boiled into little dumplings. 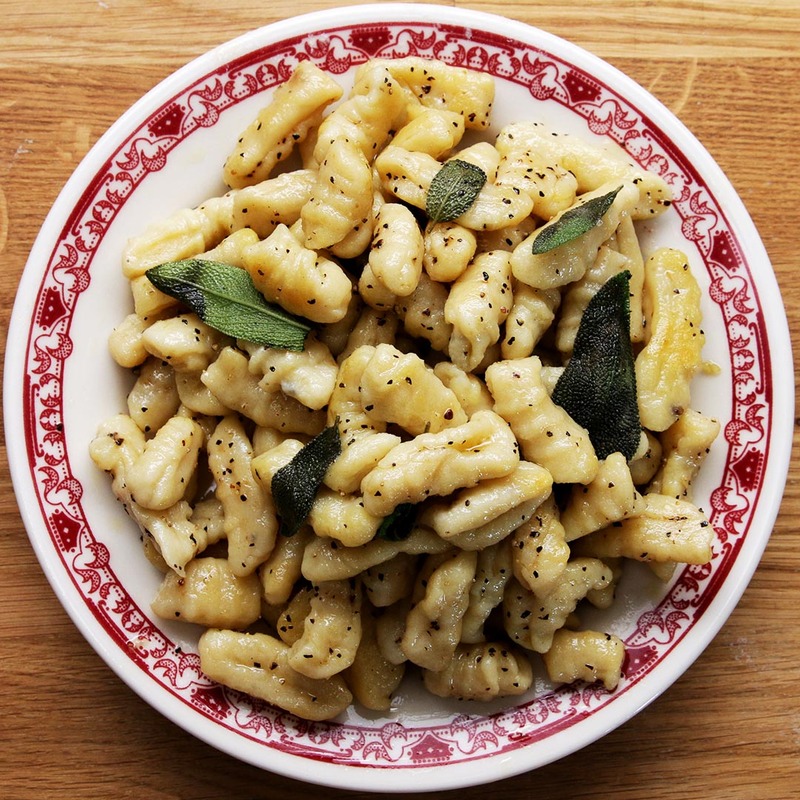 Then, the gnocchi get tossed in a simple sauce of butter and sage until just golden. Prick the sweet potato with a fork several times and bake for 40 minutes (or microwave for 5 minutes). Allow potato to cool at least 5 minutes before peeling skin off. In a large bowl, mash potato with masher or fork until smooth. 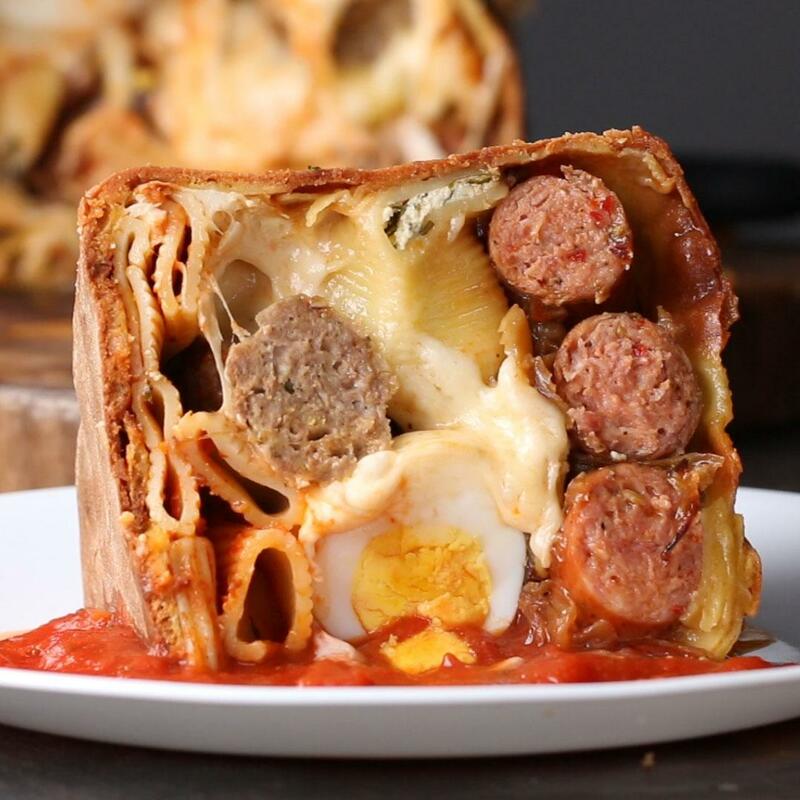 Add parmesan cheese, egg, and flour. Knead the dough until it is firm and no longer sticky, adding flour as needed, forming a ball with the dough. Divide the dough into four equal parts. Take one part and roll it out into a long rope, about a 1-inch (2 ½ cm) wide. 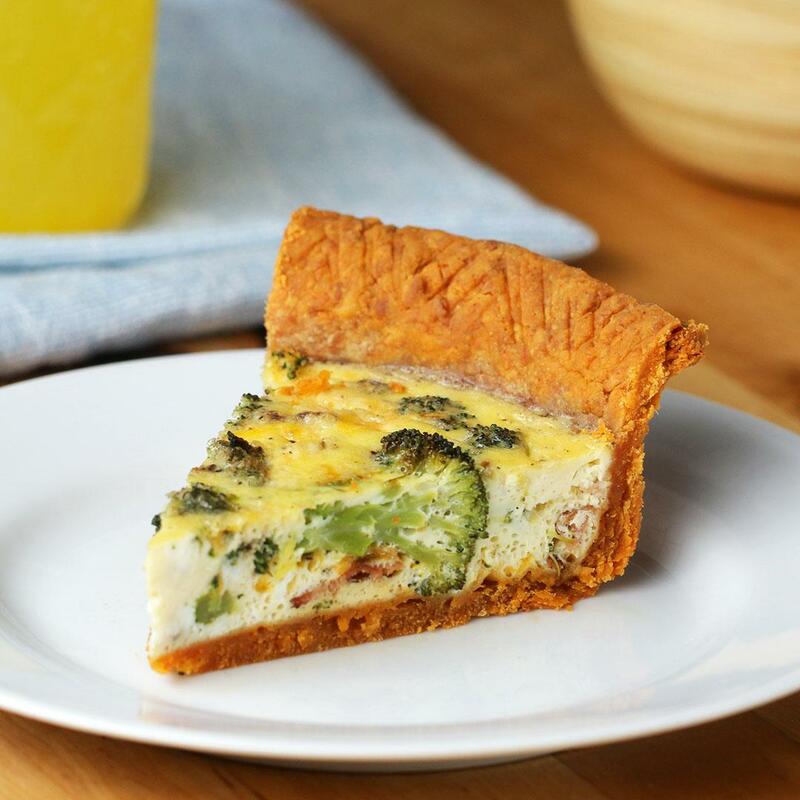 Slice into ½-inch (1 cm) rectangles and set aside. 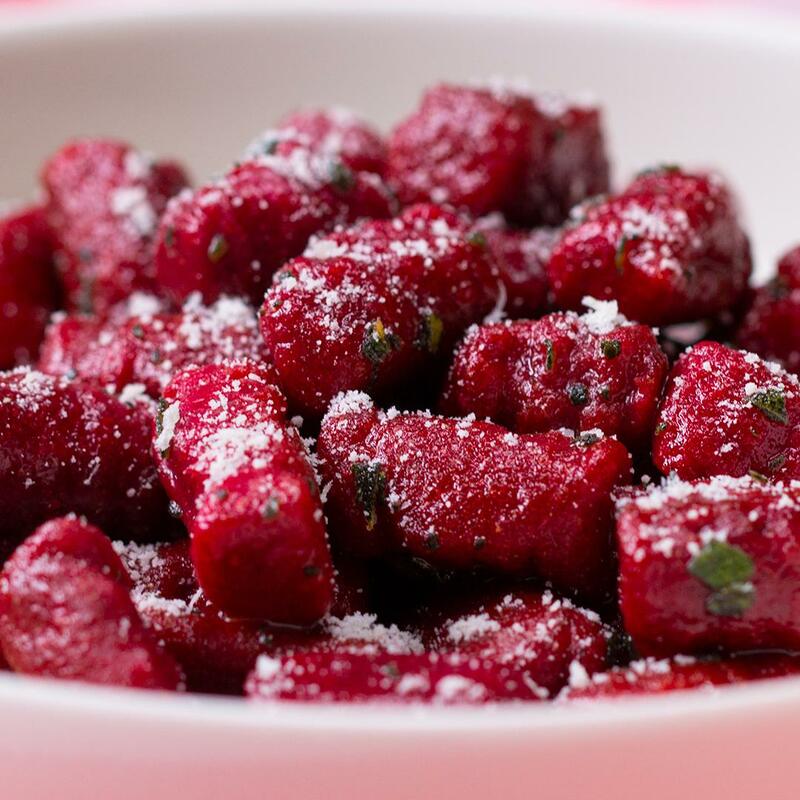 Using an overturned fork, slide each gnocchi over the fork prongs so they become serrated in a corkscrew shape. Bring a large pot of water to a boil and add the gnocchi. Boil until the gnocchi float to the top, about 1-2 minutes. Drain in a colander. In a pan over medium heat, melt butter and add sage. Simmer for 1 minute without letting butter burn. Add gnocchi to pan with the sage and butter, tossing until lightly golden. Top with more Parmesan cheese. Don’t double the recipe you’ll have way too many gnocchis🙈. SO GOOD!! I added an extra egg to the pasta because it was too floury. In the sauce, I added some honey, garlic, onion powder, salt and pepper. And instead of sage, I used just like Italian seasoning. Also, I didn’t have a masher so I just put the egg and sweet potato in a blender. College man. Make sure sweet potato is mashed to smoothness or you’ll have small chunks! not so easy. It took a while to need and it’s VERY sticky. I was extremely worried at first because all I could taste was flour (I had to add A LOT of extra flour to get it not sticky) I put garlic in the pan too. Then as it was cooking I added salt and pepper. It tasted so good. Be patient and add seasoning. Next time I might add brown sugar.100%recommend.